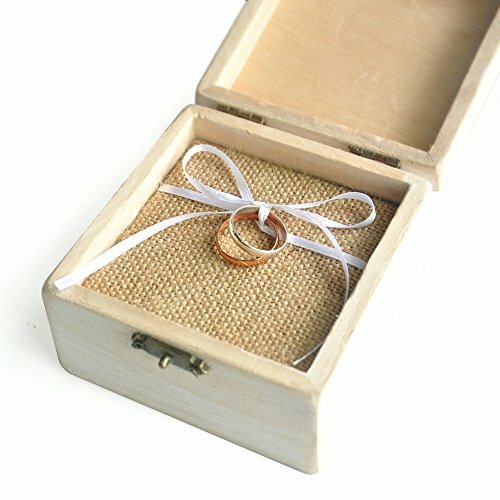 Classy, rustic and unique, this lovely and chic little wedding ring box is a most beautiful and graceful way of having your precious jewelry protected and also gorgeously displayed to your friends, guests and clients! 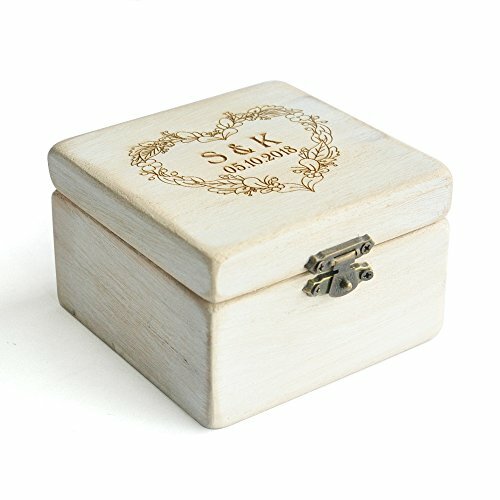 This box has been constructed out of strong wood, so it will be very resilient and durable throughout time as well. 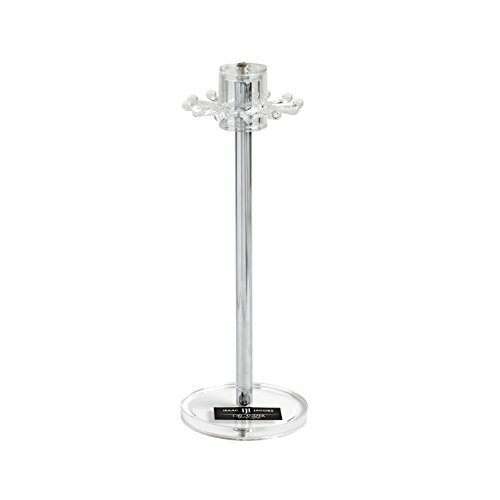 It features a beautiful and elegant rustic look, so it is more than ideal if you intend to go for a more traditional vibe at your wedding party! 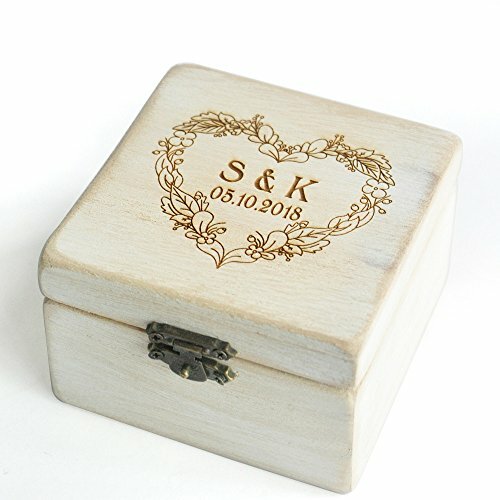 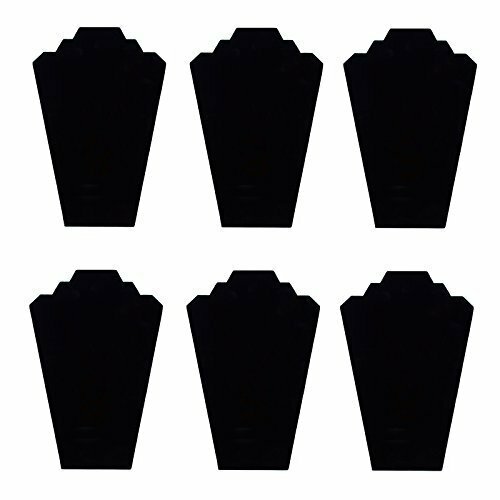 It is square shaped and its entire surface has been neatly honed so that it is a fine and pale beige color; in addition to all that, the box can also be customized with your names, date, initials and so on, all enclosed in a gorgeous and intricate little heart shape! 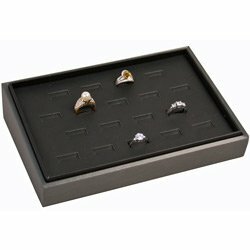 This way, you will be able to have your own special and unique wedding ring box! 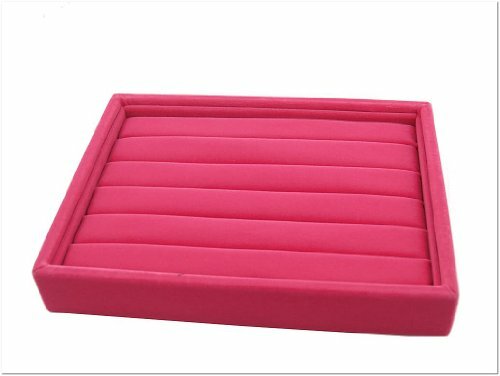 The latch is made of metal so your rings will be better protected as well. 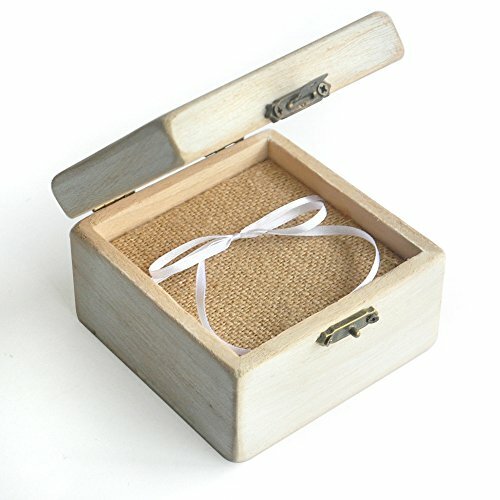 The interior is lined with burlap material, which enhances the traditional and vintage vibe. 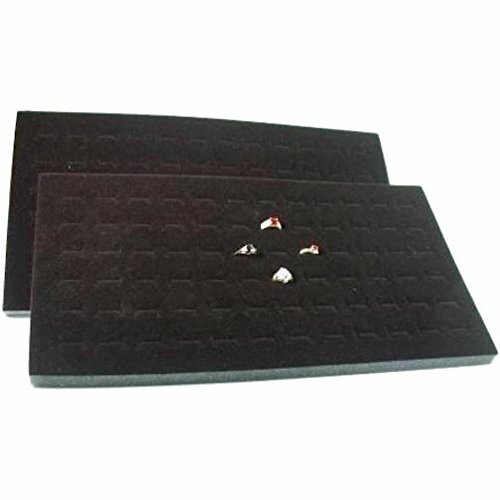 Your rings will be kept safe by a dainty and stylish white ribbon all the time as well. 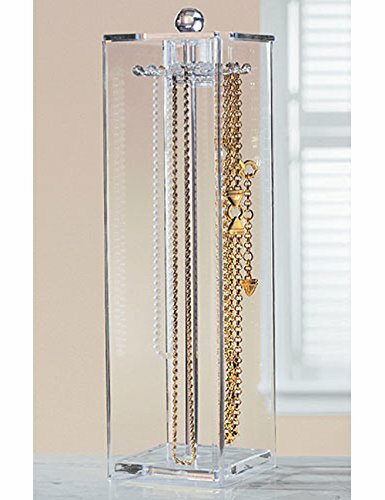 This astonishing and gorgeous piece of craftsmanship is a truly amazing and striking manner of displaying your most important pair of rings that will also keep them safe, so it will surely not disappoint you! 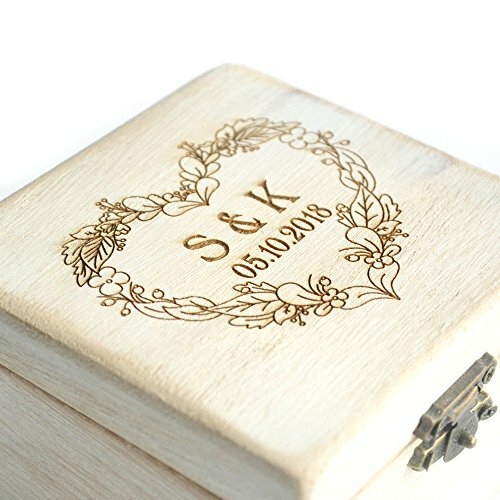 The measurements of this wonderful wedding ring box are the following: 3.9 x 3.9 x 3.1 inches.